I am super honored. Simply because it means I have actually touched someone that much they want to give me, little ol’ Venice from Washington, a chance to be recognized. 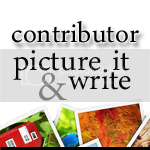 To share me and my work to others so they might find some enjoyment as well. Thanks again CJ! Now, for the random fact about myself. I absolutely enjoy video games. RPGs to be exact. I do play others, but those are my absolute favorites. It’s just like reading a book, except you are in it visually. 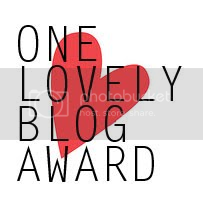 I am also going to go beyond the guidelines and post 5 bloggers I am going to nominate for this award on here too. All have touched me one way or another, and you deserve a shout out too! Illusion’s Way: Just so down to earth. A blog you can read and connect to on some subjects. Memories By Me Photography: What can I say, I am a sucker for good photography. Plain and simple. Coco J Ginger Says: I had one favorite post, but they recently posted Kind and yea. Need I say more? H2O BY JOANNA: I mean, seriously? Anyone who can make water, WATER, look like she does, is just awesome. Oh and if I did not mention you, don’t take it personal. YOU ALL HAVE INSPIRED ME!